Pleasantly funny, unassuming and strangely compelling, are some of the ways I would describe Hunt for the Wilderpeople. Waititi delivers a light comedy-drama, that doesn’t take itself too seriously. Dennison portrays Ricky Baker, a rebellious young boy who gets sent to live with a couple on a remote farm in the New Zealand countryside. Chaos ensues when Ricky and his foster parent, ‘Uncle Hec’ (Sam Neill), find themselves on the run in the wilderness, provoking a national manhunt for the troubled pair. Based on the book, Wild Pork and Watercress by Barry Crump, Hunt for the Wilderpeople is a hilarious adventure and further consolidates my love and appreciation for indie films. It’s an oddball film that’s an exercise in style and a showcase of Waititi’s awesome sense of humour. Now, I find a lot of things funny, so it doesn’t take a great deal to make me laugh, but Waititi’s film contains some seriously hilarious dialogue, mainly between Hec and Ricky. Their relationship develops like that of a typical buddy comedy, as they form a charming double act. Ricky is a comic machine, delivering line after line of witty jokes. Lacking a family, he’s spent most of his life moving between homes, so he tries to stay positive through the power of humour. At the beginning of the film, he’s a little defensive, but his new foster mother Bella (Rima Te Wiata), manages to break down his shell with her unconventional love and affectionate mockery. When Ricky discovers his new life may be upturned by child welfare services, he decides to jump ship and so heads into the bush with his dog, who he’s brilliantly named Tupac. But the real drama occurs when Hec tracks him down, while the authorities come to the conclusion that he has abducted Ricky. The whole film is divided into ten titled chapters, as Ricky and Hec travel across the New Zealand outback, desperately trying to evade the authorities. While they endure all sorts of calamities along the way, they slowly develop a tight bond that ensures for a heartfelt journey. The child welfare worker, Paula (Rachel House) is also hot on their tail and she starts meddling with police procedures, pining for control of the manhunt. She acts like a bit of a lunatic for most of the film. Her antics do get a bit annoying, as she continuously parades around, shouting like a mad woman, while hunting down Ricky and Hec. The whole tone of the film is deliberately cartoonish, so despite my own irritation, her behaviour is sort of in tune with the film’s humour. 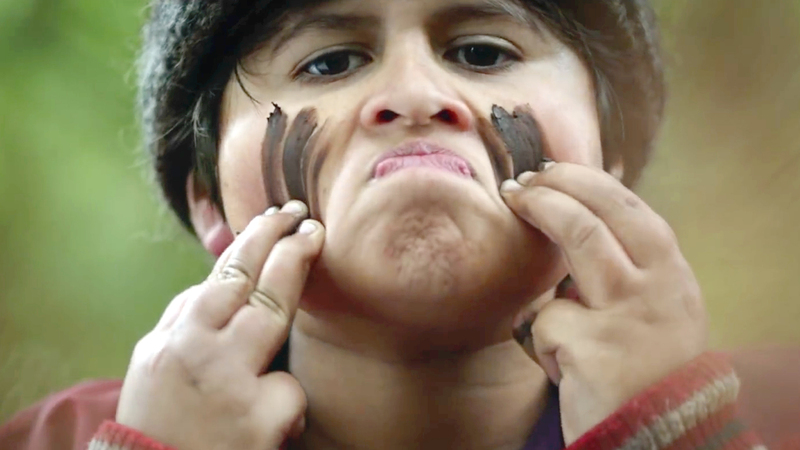 Hunt for the Wilderpeople doesn’t take itself seriously at all. It knows what it’s trying to do and does it very well. It presents a comical world, but at the same time, maintains a sense of naturalism. The film is a fairly easy-watch, despite a slow start, but by the time Ricky and Hec are marching through the wilderness, it’s a whirlwind of fun. If you can withstand the film’s oddities, you’ll have a blast. It’s a family movie with a bite! Stars: Sam Neill, Julian Dennison, Rima Te Wiata. This was one of my faves this year! I was intrigued at “dog named Tupac” ha! Will have to look out for this one. Haha you definitely should check this one out. It’s a nice light hearted film to watch.